1799 Regency cloak, auctioned at Christie’s. Red wool cloak from the last third of the 18th century, Met Museum. As you can see, the capes and cloaks of the Georgian and early Regency eras had a rather full, voluminous body, similar to the plissé cloaks that were popular throughout the 1700s. As a general estimate, the cloak body was about 4 yards wide and 1 yard long. The mass of fabric was than either pleated directly into the hood, or into a fitted shoulder yoke. You can see the first method on the red cloak, which also features an extra collar, attached to the body. My version, on the other hand, has a yoke. Fabric-wise, most cloaks I have seen were made using different weights of wool. It also seems that the cloak body was often unlined. Furthermore, red was a very frequent color choice for cloaks and coats, all through the Regency era. There was quite a long time, when the circular red walking cape was a staple in the fashionable Regency lady’s outdoor wardrobe. The Jane Austen Center has dedicated a short article to this phenomenon and its anachronistic charm. On their website, you will also find a tutorial to create your very own circular walking cape. Opposed to the cloak body, the hood was usually lined with silk or similar soft fabrics. It was rather large and round, to accommodate the high hairdos many ladies sported in the 18th century. 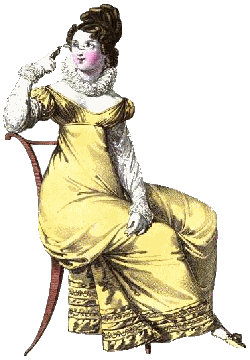 The shaping found its way into the early Regency era, too. 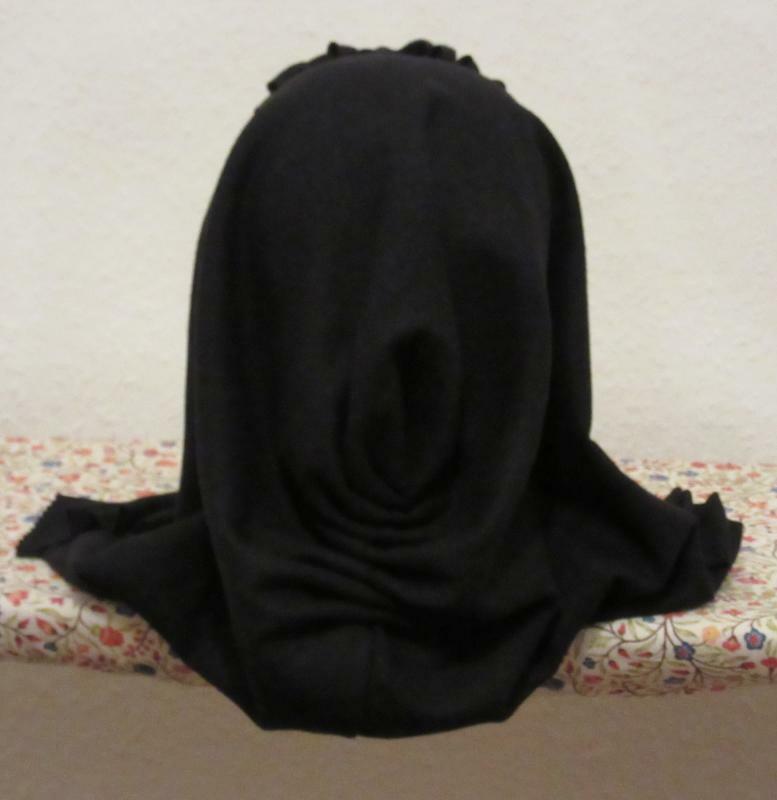 It was achieved by rounding off the hood’s underside and by gathering the back portion of the hood, using a technique called “fan pleating” or “radial pleating”. Most often, the fan pleats took a round shape. But there were also straight and semi-circular patterns. Fan pleats, in the hood of the red cloak. 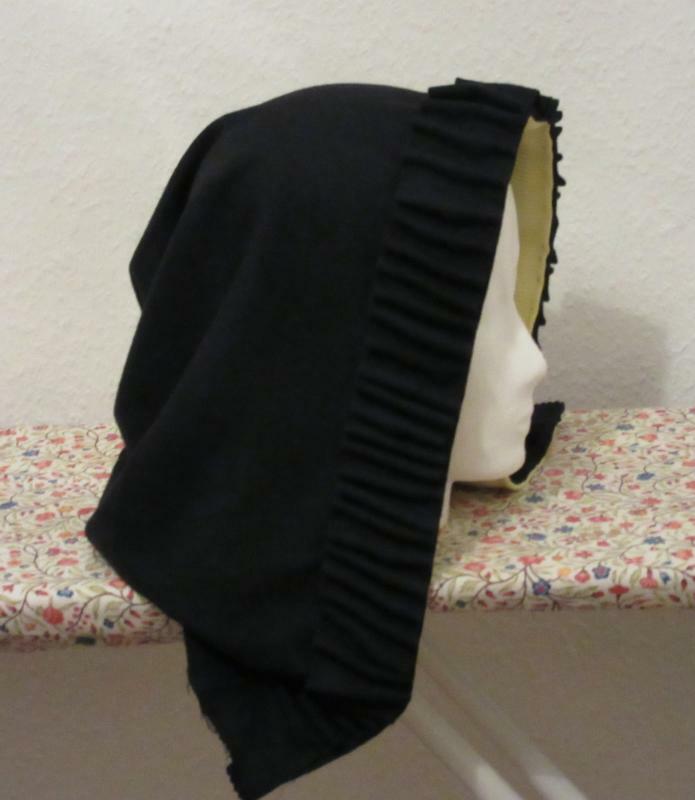 I fan-pleated my hood, using the translated instructions from Garsault’s 1760s book “L’art du Tailleur”. You can find them on Marquise’s website, along with the instructions for making mantlets and plissés, taken from the same publication. 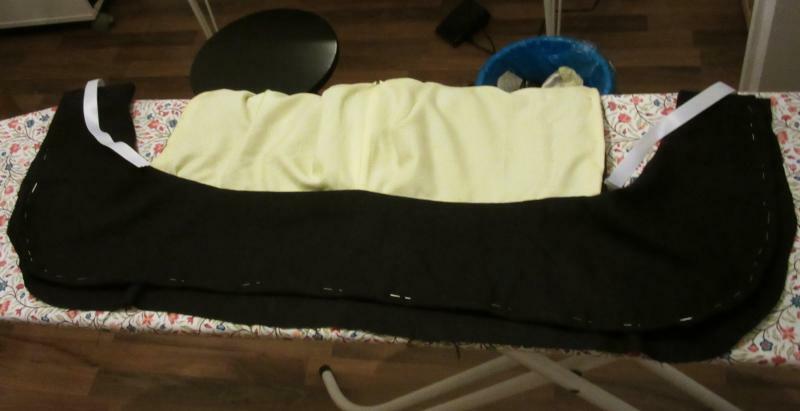 Following Garsault’s pattern, I folded in half a 45 x 90 cm square of fabric and cut out a wedge at the fold’s bottom end, taking out about a third of the center back length. I then cut the lining in the same way. This shape makes the hood’s neck edge more fitted, while the resulting tip also serves to give the pleats an even, symmetric mold. 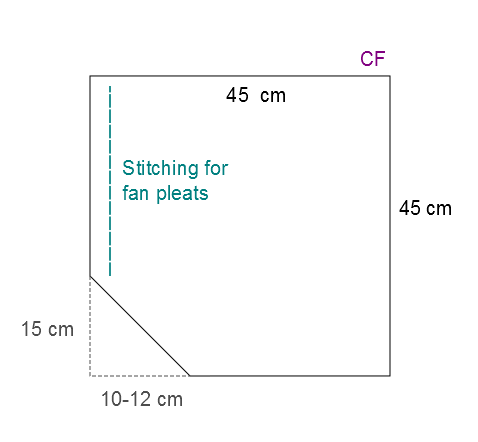 After closing up the diagonal seams the cut has created, you make the fan pleats by sewing two parallel rows of gathering stitches, on either side of the center-back fold, through both layers of the lined hood. After pulling them up on the inside, you can add some back-stitches for extra shaping and stability. The diagram below sums up the measurements I used for the hood and the placement of the gathering stitches. My cutting diagram for the hood. The fan pleats in my hood, before the final molding. The side view of the hood with trim and shaping. The hood after attachment to the yoke. (I added the ties in the same step as well).